Windows 10 Home; 7th Generation Intel Core i5-7200U Processor; 15.6-inch diagonal HD SVA WLED-backlit multitouch-enabled edge to edge glass; 8GB DDR4 Memory; 1TB 5400 RPM SATA hard drive; B&O PLAY Audio with dual speakers; 2X2 802.11ac WLAN and Bluetooth; HP Digital Pen in natural silver. Accomplish more: Multitasking feels easy and fast with the performance of a powerful PC. 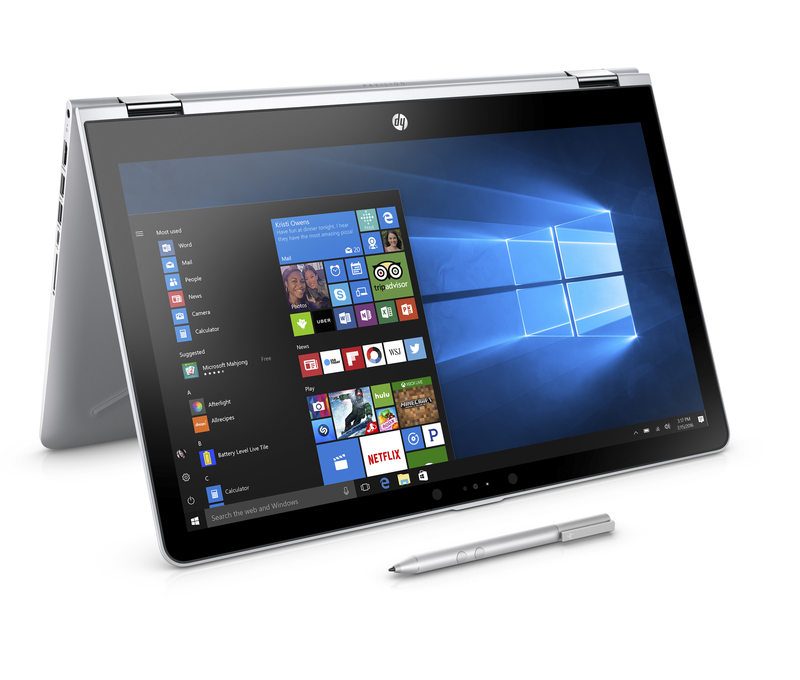 Tbook.com crawls the web to find the best prices and availability on Hot Products and related Computer Products products like HP Pavilion 15-br082wm X360 15.6" Touchscreen 2 in 1 Laptop, Windows 10, Intel Corei5-7200U Processor,.... For this page, related items include products we find that match the following keywords: "COMPUTER computer|HP Computer COMPUTER|Dell Computer DELL|Lenovo Computer LENOVO" at our vendor partner Walmart. HP Pavilion 15-br082wm X360 15.6" Touchscreen 2 in 1 Laptop, Windows 10, Intel Corei5-7200U Processor,... is one of 18 Hot Products and related products listed in the Computer Products section of Tbook.com If you have any questions on this product, please give us a call at 734-971-1210 during the hours of 9am - 5pm EST for assistance. Thank you for shopping at Tbook.com, the Internet Department Store!